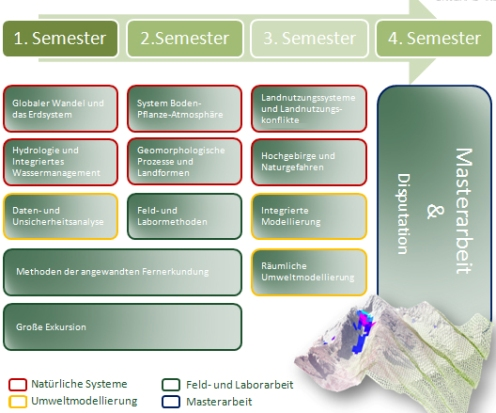 The Master’s degree program Environmental Systems and Sustaibability – Monitoring, Modelling and Management” provides knowledge and skills needed for independent scientific research in the fields of „Monitoring, Modelling and Management of Environmental Systems” with a focus on aspects of the global changes and sustainability. The development of options for action for sustainable environmental management. Detailed information can be found here [in German].